At least once a year I like to give a shout-out to a Fred Biletnikoff-type performance. Maybe it’s because I’m a Raiders’ fan. But also is is just a way to show that an offensive player can have an incredible performance, similar to those posted by the former National Football League great, even without scoring. Makai Anderson caught six passes for 164 yards in Mountain View’s Week 3 win. Three times he was stopped at the 1-yard line. The Thunder scored on all three drives. Biletnikoff, by the way, won the MVP of Super Bowl XI with just four catches for 79 yards. Not exactly eye-catching numbers. However, three of his catches led directly to touchdowns on the very next play. Double down: The Mountain View Thunder beat Juanita 54-7 in Week 2. The Thunder liked that so much they won by the exact score in Week 3. I’m not going to look it up, but I doubt that has ever happened before in Mountain View history, back-to-back 50-burgers and winning by the exact score. The Thunder have a lot of respect for Battle Ground’s power and counter run game. Even though Mountain View beat the Tigers last year, the Tigers gave Mountain View some fits with the offense. Not so much this year. “We were up to the challenge physically, which was encouraging to see,” Mathieson said. The varsity defense gave up 17 yards and two first downs, the coach noted. He pointed out the play of Andrew Remlinger. But don’t look for too many individual stats from the Mountain View defense. The coaches do not officially track tackles and assists. On offense, well, 108 points in two weeks kind of tells the story. “Starting to feel good about our ability to spread the ball on offense,” Mathieson said. The Prairie Falcons suffered their first loss of the season in Week 3, but maybe suffered is the wrong word. Sure, the loss hurt. Any loss hurts. But there were plenty of good moments from the Falcons, too. Their coach, in fact, noted it was a fantastic football game, regardless of the result. Prairie trailed late in the fourth quarter but got the job done on offense to take the lead with less than 3 minutes to play. Black Hills would get the last big play, though. A frustrating way to lose, but also an opportunity. The coaching staff challenged the players Monday during film study. Just in time for rivalry week, too. 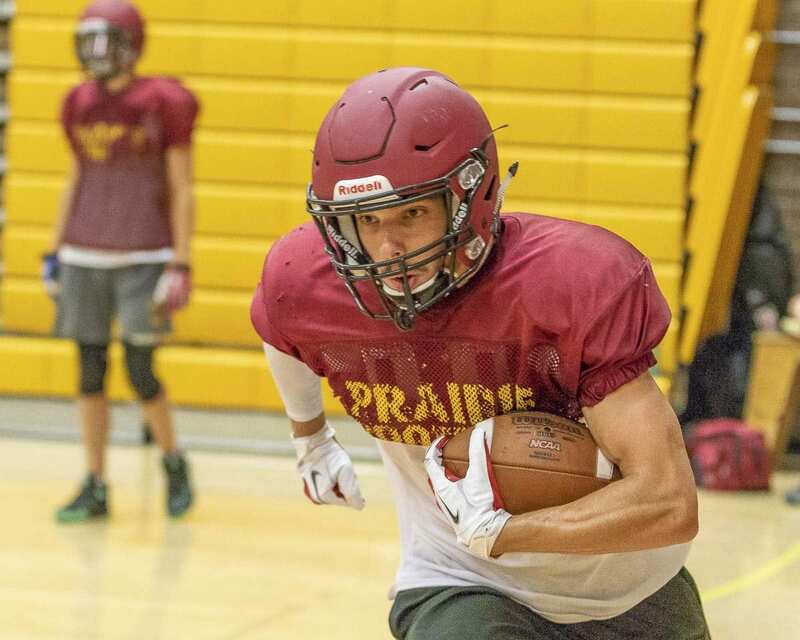 Prairie will take on Battle Ground, the Battle for Highway 503. Mike Peck and assistant coach Larry Peck coached together at Battle Ground when Larry was the head coach and his son was an assistant. There is no sugarcoating this one. This one got out of hand for the Evergreen Plainsmen. However, it was not a blowout from the start. In fact, coach Terry Hyde saw it from the sideline and then again when watching the game video, his players battled. “The effort was still there and still good,” he said. It was, after all, only a 16-0 game at the half. Things snowballed on the Plainsmen in the second half, but they feel they can correct many of the issues. “We had five turnovers, and they all turned into points,” Hyde said. “You can’t make mistakes against a very good team. 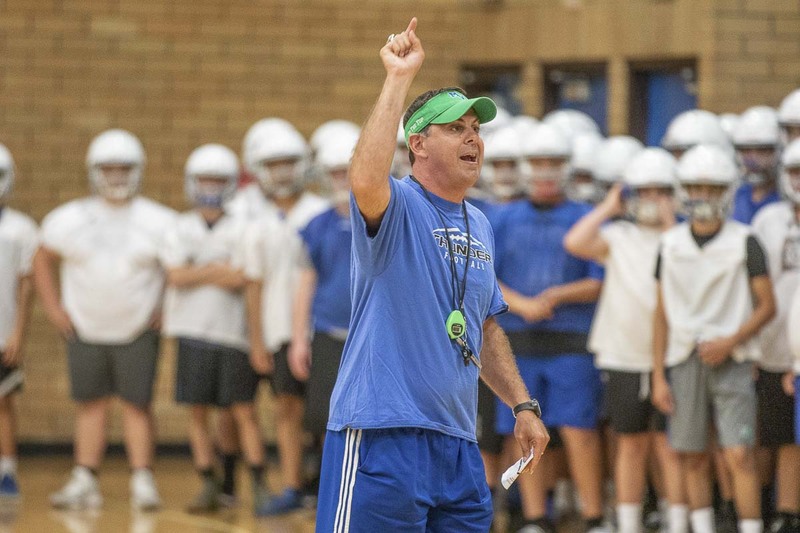 In just the few days since the loss at Lakewood, the Plainsmen have shown some growth. The Plainsmen will get their next shot Friday with a home game at McKenzie Stadium against Rochester. “This game is to get refocused, get confidence built back into what we do and continue to compete,” Hyde said. The Eagles fell to 0-3, but this was the first time the team was out of contention in the second half. Still, Bay battled, getting a couple of touchdowns in hopes of building some momentum for the rest of the season. Lions has heard from opposing coaches who have noted that Bay has a promising group of players who do a great job competing. He said that is the difference between the old Hudson’s Bay and the new Hudson’s Bay culture. “As mentioned before, there were times when players gave up and didn’t compete for the rest of the game,” Lions said. “That has not been said or even noticed at this point. Each player continued fighting for each other and the pride of our program. As far as individual standouts, Lions did not want to highlight any one player. “Whether it was coaching or playing, each individual made mistakes throughout the game which accounted for a poor performance,” he said. A few seniors, though, did show examples of The Bay Way, encouraging their teammates despite the struggle. “It was apparent that the spirits had been bruised and the few seniors that spoke didn’t aim to make it worse, rather to challenge the inner fight in each and every one of them,” Lions said.